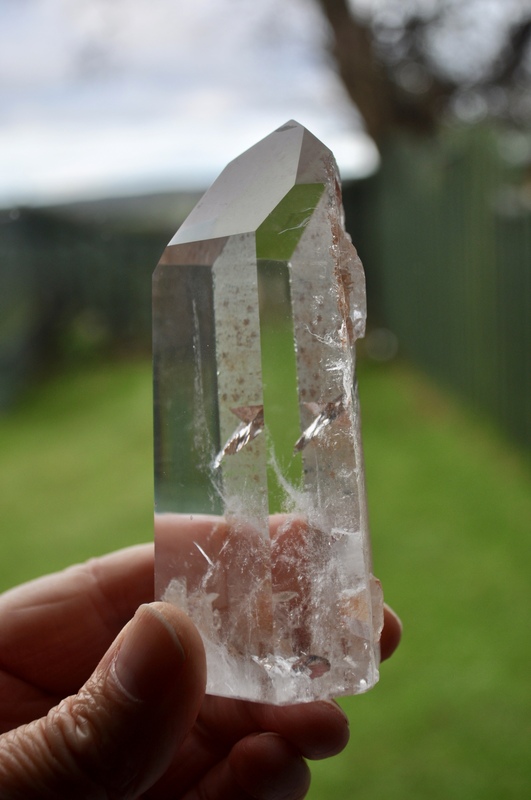 This unusual clear quartz point has a manifestation which is a small crystal that has grown within the larger crystal. Manifestation crystals are quite rare and are said to help to create a new reality. They are also said to aid creative thinking and to bring mental clarity.